spec notes: Printed in 3 PMS colors, and stamped with foil. Each bottle has a front and a back label, the inside of these carries an image to be discovered and examined by looking through the magnifying liquid of the bottle. 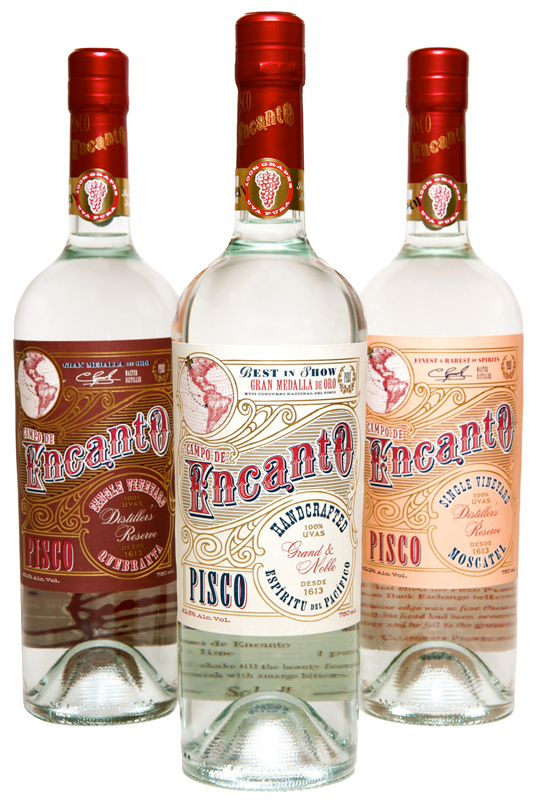 Campo de Encanto is a handcrafted, heritage-inspired Pisco from Perú created to meet the demand for authentic, artisanal spirits. Each expression’s label carries its own color, story, and feel to reflect that of the grapes inside.